The pay roll tax cut package managed to escape the grasp of renewable energy stage-5-clingers as President Obama signed it into law on Wednesday. Unsurprisingly, wind farm hopefuls still remain committed to making this relationship work. Proponents of the government-funded windustry are now frantically searching for an extension of the wind production tax credit (PTC) which is set to expire at the end of the year. 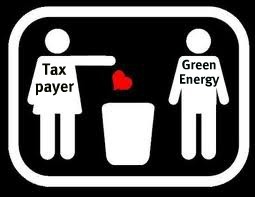 After twenty years of government dependency, wind energy still cannot compete without the taxpayer crutch; it’s time to throw in the towel. Government has been playing matchmaker with its insistence that wind energy is a complete catch: it’s clean, comes from an elite family (the Renewables) and will be good for you (i.e. the environment) “in the long-term.” But from the get-go, there are several reasons why taxpayers wouldn’t want to take this industry to the prom. Modern wind turbines are very large, expensive, visually unappealing permanent structures that inhibit land use and create a loud drone when in operation. When the wind is actually blowing, the spinning wind turbines end up accumulating a massive death count of thousands of birds and bats. Beauty isn’t everything, you say? Well, even if wind farms were a total fox, wind energy is inseparable from its inherent baggage. For instance, if you’re looking for that long-term special some-energy to see you through the good times and bad, wind energy is risky. It only can only sustain itself when there is—wait for it—wind! Consequentially, it must have the constant back-up connection with the grid, depending on generators or batteries (that use fossil fuels) to keep you satisfied. Wind turbines (produced with the aid of fossil fuels) can be quite the intermittent diva too: when the wind current isn’t strong enough, it is unpractical to operate them; if the wind is blowing too fast, it completely shuts down to avoid damage. Wind farms can only thrive in specific geographic settings, usually in remote areas that require the expensive construction of transmission lines. In the end, with its absolute dependence on alternatives, wind farms are not taxpayer-healthy to pursue at all. The ideal of responsibility has endured a severe loosening under the current administration’s incessant touting it as something to be “shared.” We heard this rhetoric echoed throughout Obama’s speech introducing his 2013 budget: “We’ve got to renew the American values of fair play and shared responsibility. The budget that we’re releasing today is a reflection of shared responsibility.” This “shared responsibility” (i.e. 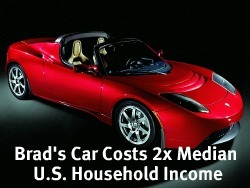 socialism) has never been a traditional American value. Individual responsibility is the ancestral principle that has strengthened America into prosperous world power she is today. It is this concept that sets the stage for fair play. However, the Obama administration’s refusal to “walk away from the promise of clean energy” will require the continuous life-support of the American peoples’ shared tax dollars that it has never survived without. This is patently unfair. Fisker Automotive, the California company that scored a $529 million government subsidy to produce the plug-in Karma, recently had to shut down operations due to their delivery quota failure. A123, Fisker’s lithium-ion battery supplier and winner of a $249 million DOE loan, is on pins and needles with their investment of at least $20.5 million into Fisker, their #1 client. Ener1 Inc., the parent company of EnerDel that received a $118 million DOE grant to make batteries for electric cars, filed for Chapter 11 bankruptcy. 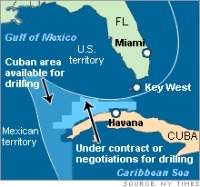 Did Cuba’s Plan to Drill Near Florida Prompt President’s Pivot on Offshore Oil and Gas? While Republican Party candidates face a political drilling in the Florida primaries, Florida prepares for the offshore drilling by a Spanish company just miles away from its coastline, courtesy of our embargoed neighbor to the South. Cuba has signed lease agreements for offshore drilling blocks with six nations in the North Cuba Basin, a body of water within the Cuban Exclusive Economic Zone (EEZ) that is believed to harbor at least 4.6 billion barrels of crude oil. Five of the six companies are owned by foreign countries: India, Venezuela, Malaysia, Vietnam and Angola. Spanish-based Repsol, the single private company, will drill one exploratory well in the North Cuba Basin, called the Jaguey Prospect, lying about 55 to 60 miles south of Key West, FL. It owns a 40% share in the newest exploratory well, while India’s Oil and Natural Gas Corp. and Norway’s Statoil each hold a 30% stake. Repsol has contracted the Italian-owned Scarabeo-9, a mobile offshore drilling unit (MODU), to drill the Jaguey well. In March 2010, President Obama introduced a plan for drilling to take place 125 miles from Florida’s Gulf coastline. Only weeks later, the President’s offshore drilling proposal was shelved due to the Deepwater Horizon spill. Since then, the administration has been largely hostile to existing deep water drilling offshore in American waters—first, it imposed a de jure moratorium, and, after that, it imposed a de facto moratorium via bureaucratic foot dragging. In a surprise move, the President seemed to pivot on offshore drilling policy in last Tuesday’s State of the Union Address. Specifically, he announced a plan to open 75 % of potential offshore oil and gas reserves. Details of the plan are still scarce, so we still don’t know what it entails exactly. One must wonder if the President’s wind of change was prompted by the fact that companies from five nations are drilling for oil and gas in such close proximity to Florida. President Obama’s record proves that he understands how to use time effectively, solely to his advantage. His craft of circumventing issues of critical national interest is an art form, and his State of the Union address is no exception. 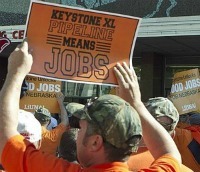 “This country needs an all-out, all-of-the-above strategy that develops every available source of American energy, a strategy that’s cleaner, cheaper and full of new jobs.” His hypocritical declaration was salt to the fresh wound inflicted by his dismissal of the $7 billion privately funded TransCanada Keystone XL Pipeline just prior to the SOTU. The following day, it became clear at the Subcommittee on Energy and Power hearing on Rep. Lee Terry’s (R-NE) The North American Energy Access Act (H.R. 3548), that political “timing” was the basis for Obama’s pipeline rejection. Kerri-Ann Jones, the Bureau of Oceans and International Environment Assistant Secretary of the State Department, was the witness who vouched for the State Dept’s recommendation that Obama kill the pipeline. She said that the merit of the project did not cause the second rejection; it was the lack of time given to finish the reviewing process of a new route. According to Jones, it normally takes 18-24 months to vet a project of this size; the KXL Pipeline, however, has now been under review for a total 40 months. 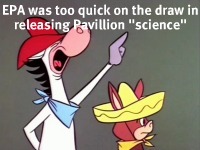 Solyndra, which disposed of $535 million of tax payer money, is the poster child of Obama’s hypocritical devotion to due diligence. Before rushing Solyndra’s subsidy out the door, Obama’s DOE blatantly ignored countless red flags regarding the viability of their first green energy flagship of government funding. When Solyndra went belly-up, laying off more than 1,100 workers, the Obama administration wanted to get the timing right. 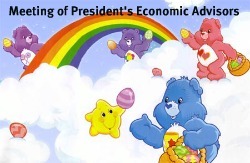 Emails from the Argonaut Private Equity, an investment firm owned by Solyndra’s largest investor and Obama campaign donor George Kaiser, indicate that the DOE asked Solyndra to postpone the announcement of job layoffs until after the 2010 midterm elections. How convenient. Earlier today, a woman from South California found her Toyota Prius vandalized. A classic case of ‘who done it’? – more like what done it. Heather Patron claims that the energy efficient window installed in a neighbor’s condominium is melting the plastic parts of her car and other cars in her carport. What brought her to this cathartic conclusion? After Toyota assured her that there was nothing wrong with her Prius, Patron apparently observed a “powerful beam of light” that was reflecting off of the said window, emitting a beam on her carport. The Empire State Divide is now available for viewing on the Foundation for Land and Liberty website. 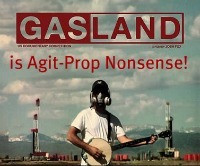 It is a documentary film about the harm to human well-being wrought by an environmentalist campaign against hydraulic fracturing in New York. This film was inspired by my mother, Karen Bulich Moreau, President of The Foundation for Land and Liberty. It was funded exclusively by her mother and siblings in memory of my grandfather, Frank Bulich. The documentary can be found here. In a previous post, I wrote about the film in detail.